Nils Drescher is like any other 17-year-old Germany boy. He enjoys spending time on the computer. He loves to play Pokémon. He developed the insanely popular (and not even close to finished) blossoming Internet sensation Pokémon3D. That’s right. At the age of 17, Nils is busy converting the world of Pokémon Gold and Silver into a free, downloadable game for Windows. And I sincerely applaud him for that. 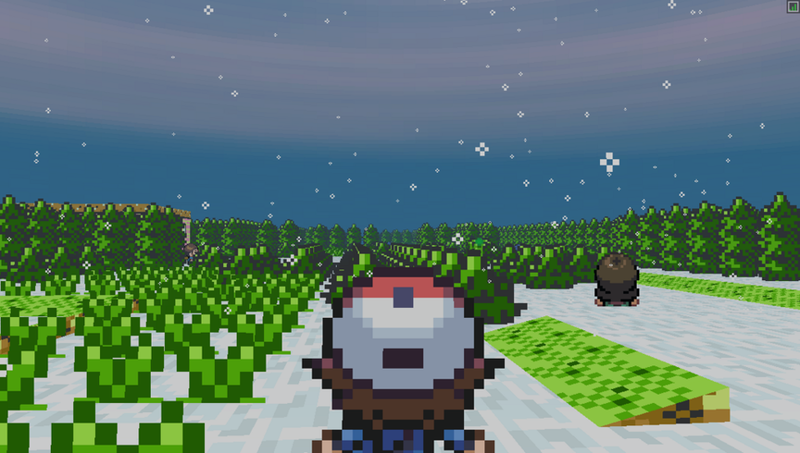 Pokémon3D is in version 0.15, which means it is not even close to being complete. Starting Pokémon aside, I’ve been able to catch four Pokémon: Weedle, Caterpie, Rattata, and Pidgey. I had no problems evolving Caterpie to Metapod and then to Butterfree, nor did I have problems getting Weedle to Kakuna. But evolving Kakuna to Beedrill crashed my game every time. And that’s where the problems begin. Enter Slowpoke’s Well, the game crashes. Plant a berry, the game crashes. Battle in full screen mode, guess what… the game crashes. It’s not the most stable game online for sure. Add onto that the fact that no trainers are present, almost no buildings can be entered, only 2 or 3 towns are programmed into the game yet, and the fact that none of my Pokémon have learned any moves yet (I have a level 14 Bulbasaur who knows Tackle and Growl. Nothing else), and you’ve got yourself a recipe for disaster. Put ON TOP OF those glitches the fact that most doors lead to nowhere, and the ones that do warp you to odd places, and it seems like we shouldn’t even be wasting our time talking about this game. I mean, I step into ANY PokéCenter in the game, and when I step out, I’m back in Cherrygrove City. 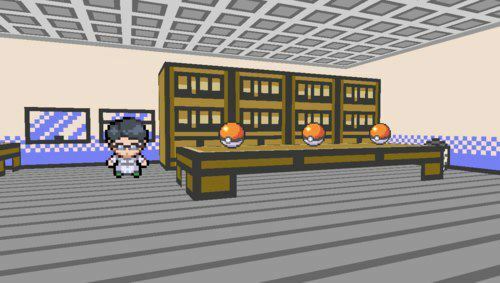 I step into a gym to face a leader, and I’m standing face-to-face with Prof. Elm. When I leave, I’m magically bad in New Bark Town. But, there’s something else about it. There’s something that keeps me playing, and it’s not the fact that I had to move back in with my parents a couple months ago, and my normal weekly comics are always read by Thursday morning. What keeps me playing is knowing how great this game will be. It’s a great concept: take a game that an entire generation of gamers obsessed over and convert it from two dimensions to three. It’s as simple as that, putting the gamer in the game. And frankly, the scenery is beautiful. Take a look at a few screenshots. I’ll admit that I had a few problems getting used to the controls at first, but after 15 minutes or so, they become second nature. All in all, the world of Pokémon is extremely well represented, regardless of how truly limited the game is right now. But with updates coming as quickly as possible, I know Nils and his 3-D Pokémon world will have me hooked until the end. As for Nils himself, he’s busy in his own little corner of the Internet, debugging, coding, compiling, and throwing out tumblr and forum posts as quickly as possible. I actually talked to him very briefly on Twitter last night. He’s a really nice guy, and extremely generous to take the time to make this game free of charge for the world to enjoy. So, thank you again, Nils. You’re doing us old, crotchety gamers a huge favor by allowing the world to play Pokémon3D. And if no one else is grateful enough to say thanks, let me be the spokesman for them all. Thank you, Nils. You have no clue how much what you have done means to me and countless others like me. 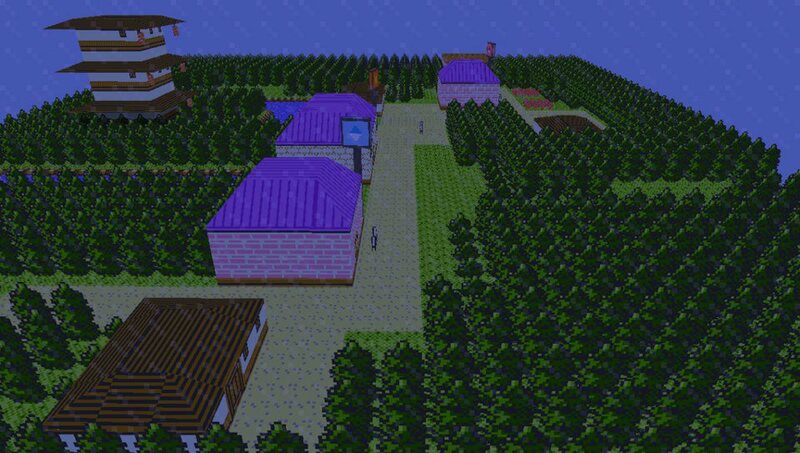 Downloads can be found at the Pokémon3D page on IndieDB.com.